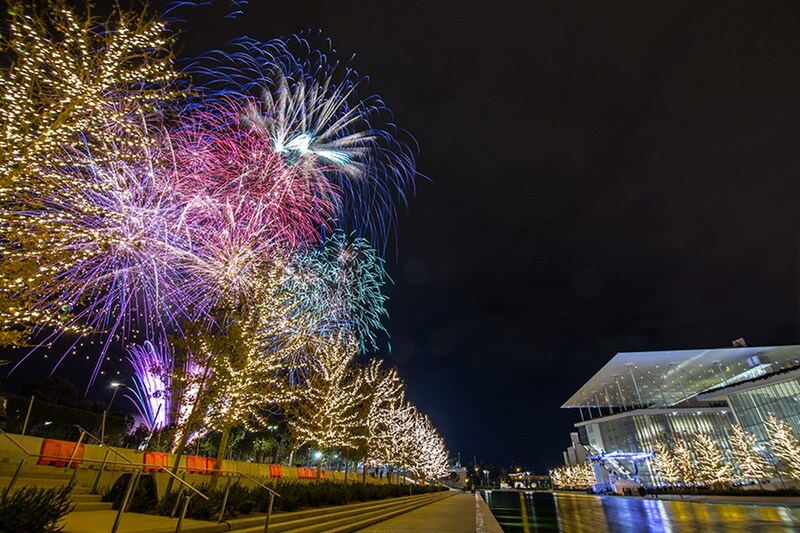 This Christmastime, Stavros Niarchos Park in Athens is full of light and sound, thanks to a series of interactive installations forming a magical winter wonderland. Four of these installations were presented for the first time in Greece, while three have been designed specifically for the place. Hundreds of visitors explore the park each day, walking through the frames of light and immersing themselves in a unique holiday festival of lights. Ecology was an important aspect in the formation of the park, situated in one of the most crowded metropolitan areas of the world. Its location, close to the National Library of Greece and the Greek National Opera, allows city residents to walk to nearby major cultural events. Stavros Niarchos Park is a vital green space, and a literal breath of life for Athens. Its lush garden landscape, featuring a wide range of trees, plants, paths, water fountains, playgrounds and open spaces, turns every visit into a unique experience. It serves as an important addition to a city with the lowest per capita green space in all of Europe.